IF you have finally received the much delayed Millennium Falcon from EFX, then you will be needing a display case for it, we have a new display case designed specifically for the EFX 1:100 scale Millennium Falcon. The top part of the base has a hole cut to sit the EFX base into, and the cover has a hole at the back, out of sight, so you can access the switch for the lights on the Falcon. We received this photo from one of our customers, she had a beautiful Owl she wanted to display & protect. We supplied the black base and display cover, made to her sizes, she just entered the sizes into our website at www.acrylicdisplaycases.co.uk and ordered straightaway. Taxidermy specimens are supplied either cased, or uncased. 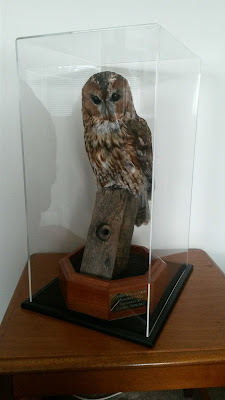 Cased Taxidermy generally means they are supplied sealed inside a display case, or picture frame, and usually have other items inside, like grass or rocks, to set the piece in its natural surroundings to create a 'scene'. Obviously these will not need one of our display cases. They are already protected, sealed within their own environment. The only disadvantages being you cannot inspect them so easily for insect damage and also you wont be able to see them as well as if they were uncased. Uncased Taxidermy is supplied as is, with no surroundings, the owl in this photo was supplied with its perch and sturdy wooden base. These allow you to inspect them very closely, to appreciate the natural beauty, you can even touch and feel them. This means you can have a greater appreciation of the taxidermy animal/bird. The disadvantages of this are of course many. If people aren't careful touching then physical damage will occur. Over time the natural oils on people's skin will damage the animal/bird. Dust will also land on it and the colours will appear faded. Removing the dust can also cause physical damage. The feathers or fur can be damaged by sunlight/UV light. Moisture can also cause damage to the animal/bird. Cigarette Smoke/Air Fresheners/ Hairspray/ Furniture Polish can all damage it. Insects/moths could lay eggs in the feathers/fur and the larvae will attack your taxidermy animal/bird, you can read all about that here in more detail. Every single problem listed above can be avoided by using one of our acrylic display cases, they block over 90% of UV light, 100% of dust and moisture and 100% of aerosol spray. They also deter inquisitive house guests from touching without your permission. The covers are easily removed for easily gaining access to your taxidermy piece. We make them to any size so you can be rest assured you will get the perfect fit, and we ship them worldwide. Click Here to see the range of display bases available. 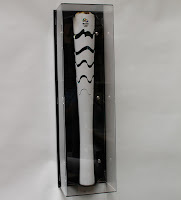 We were very excited to receive a Rio Olympic Torch from a customer wanting to display and protect it, We have just completed it and it is now available to purchase from our website here www.acrylicdisplaycases.co.uk. It has a gloss black acrylic back and an easily removed clear front cover that hooks into the back panel. It is basically the same design as our other Olympic torch display cases, just slightly different brackets to hold the torch and also being shorter, as the Rio Olympic Torch is a few inches shorter than the London one was. 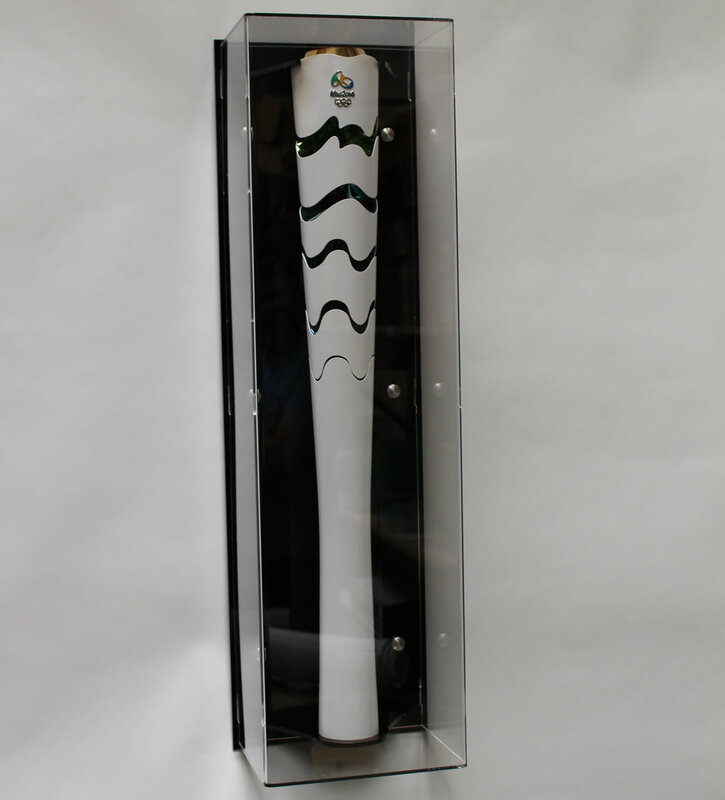 Ideal if you want to proudly display your Olympic Torch at your home or office. This was made for a regular customer who wanted to add lights to the base, we supplied our custom sized acrylic display case with a modern base, and we made it with a special order acrylic that let through the light, the customer provided his own lighting and expertly fitted them to our base himself, I am sure you will agree it looks especially good. 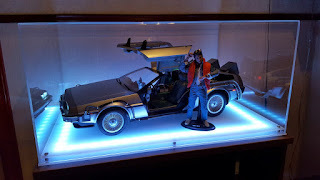 Our custom sized display case with a modern white base can be found at the below link, but please note this base does not allow light through as in the images, you will need to contact us through the website to get a price on that one, http://www.acrylicdisplaycases.co.uk/CDC-306.html. The lights had to be LED so they didnt produce any heat. We just completed these three wall display cases for one of our customers to display his Star Wars figure collection. These were custom made to perfectly fit within the space he had available. They are easy to dust and keep clean and they look amazing, also protected from handling by visitors, they can look, but can't touch. See more at www.acrylicdisplaycases.co.uk. Our acrylic model ship display cases are ideal for displaying model ships, large or small. As nice as model ships look they are dust magnets, and also interesting enough to attract prying fingers, which can damage the delicate parts of your model. As well as the dust and the physical damage that can affect your model ship, there is also the possibility of the light damaging it. We have the perfect solution, we can make an acrylic display case to your exact sizes, for a lot less than you think. This will make dusting a lot easier and less stressful, the acrylic will need only a light dust, and Mr. Sheen furniture polish adding once a month. The acrylic will block over 90% of harmful UV light while still being easily visible, acrylic is actually clearer than glass. Also the protection form prying fingers goes without saying, the worst you will have to face is polishing a fingermark off the outside of the display case, not having to re-attach parts of the ship model. Please read through the below information first, and then click here to go to our model ship display case page and enter your sizes into the custom display case builder. After entering your sizes and selecting your unit of measurement, you press the calculate button to see the different options available, and the costs. To get the shipping cost you just add one to your cart and then once in the cart screen you can change the drop-down box to your area/country to see the shipping costs and options. It normally takes about 7 – 10 days to make your ship display case. 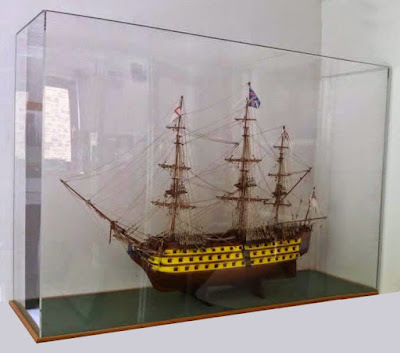 We have various types and styles of display cases available to choose from, but the most popular for wooden ship models are the traditional looking display cases with a wooden base, but you need to watch out for one problem with these if you have a high ship model, because the display case must go over the top of the model you need either to have as much clearance between the top of your model and the ceiling as the height of the display case you are buying, or you would need to put the display case base on a lower table and then add the model and the display case cover, and very very carefully lift them all onto the surface you are displaying it on. Luckily it shouldn’t need moving again as it will be safely protected. Obviously this will make access to your ship quite difficult, so if you need regular access to your model ship then this can make things quite difficult. The other display case we offer is an aluminium framed display case, this offers the same level of protection against dust, damage and UV light, but has a lockable hinged door, which keeps the model secure, but allows you to access it as and when you like. Also because you put the display case in place first and then place your model ship inside it, there are no height restrictions. This is entirely down to your personal choice, but here are a few considerations. If the display case is displayed at a height where you have to look up at it then you won’t need much clearance above it. If the display case is displayed low, where the top of the mast is below eye level then it will be better to have extra clearance above it. We recommend leaving at least 25mm clearance fore and aft of the ship, but you may want to add extra to the fore or aft if it means the hull can be displayed in the centre of display case. 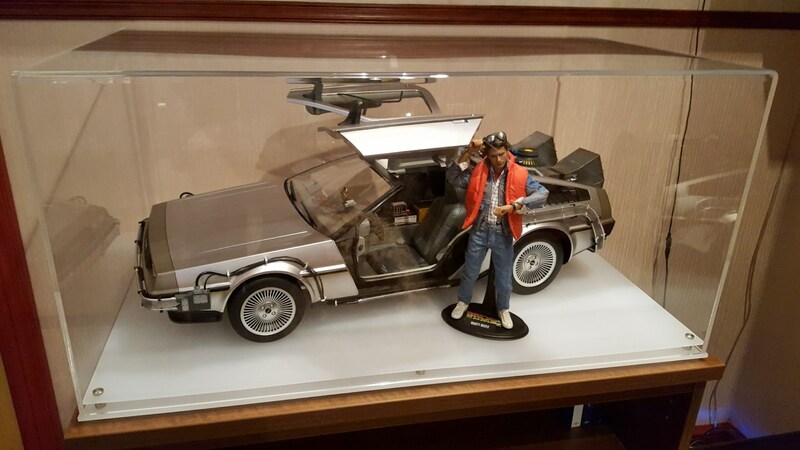 If you are adding anything else to the display then place it on a desk with your model before measuring up for the display case, and remember to allow some clearance. Our sizes listed on the website are always the inside sizes of the display case, so you do not need add clearance for the thickness of the acrylic and base, but if you have a limited amount of space around where you are placing your model then use the display case calculator to calculate the price of the display case you think you need and see which styles are available in that size, but then contact us to find out how much to allow so that the outside size will fit in your display area. The custom display case quote calculator is on our Model Display Case website, Model Ship Display Cases, just enter your sizes and base colours to get an instant quote, then purchase on-line if the price is acceptable. Where can my Ship Display Case be Delivered to? We deliver worldwide generally, and guarantee it reaches you undamaged. This display case was made to the customers own sizes to display his star wars collectible figures in, as you can see they are easily protected and displayed at their best. There are many different Star Wars figures from many different manufacturers, all in various scales and of various quality, but whatever ones you are collecting, we will be able to provide a display case that fits them. You can order one of these as below, from our website made to your sizes by following this link http://www.acrylicdisplaycases.co.uk/custom-case-base.html, just select your base type then enter your sizes. Alternatively if you would prefer to display them on your wall just have a look at our wall display cases. Our director has nearly 25 years experience in the plastic fabrication industry, so you can be sure of getting an excellent quality product. Our factory is based in Colchester, Essex, and from here we ship mainly to the UK, but due to our excellent packaging methods are able to ship our display cases worldwide. We guarantee that all of our products will reach you in perfect condition, if any are damaged in transit then just contact us for it to be collected and replaced, free of charge.